The lawsuit alleges that health officials violated the First Amendment rights of the boy, Jerome Kunkel, by banning him and other unvaccinated students from attending school or extracurricular activities at Assumption Academy, the private Catholic school where an outbreak of highly contagious chickenpox has already infected more than 30 students. Underpinning the family’s lawsuit is the claim that health officials are discriminating against their Catholic beliefs, despite the Catholic Church itself not having any qualms about vaccination. According to the Northern Kentucky Health Department, the chickenpox outbreak first began sometime around February. To stem the spread of the viral infection, the health department ordered that unvaccinated children be barred from attending after-school activities. The 18-year-old high school senior Kunkel, who has not contracted chickenpox, was forced to miss his basketball team’s playoff as a result (the team ultimately lost). Last Thursday, with the outbreak growing to 32 students, the health department banned unvaccinated students from attending school altogether. The ban is set to run until 21 days after the last reported symptoms of rash in an infected student or faculty member. That same day, the family filed their lawsuit in the Boone County Circuit Court, and further amended it this Thursday. In addition to alleging that health officials violated Jerome Kunkel’s First Amendment rights, the Washington Post reported, the lawsuit also claims that they circumvented due process in implementing the bans, and that they specifically lashed out against the Kunkel family in private meetings, due to their religious beliefs. Health departments in other states have routinely enforced similar bans during recent outbreaks of vaccine-preventable disease. In New York this winter, for instance, health officials barred unvaccinated people from attending school and even shut down a wedding due to a measles outbreak. Parents in Rockland County, where the outbreak is centered, also sued to have the school bans lifted, but had their request denied in court last week. Legal questions aside, the religious aspect of the Kunkels’ claims are dubious. 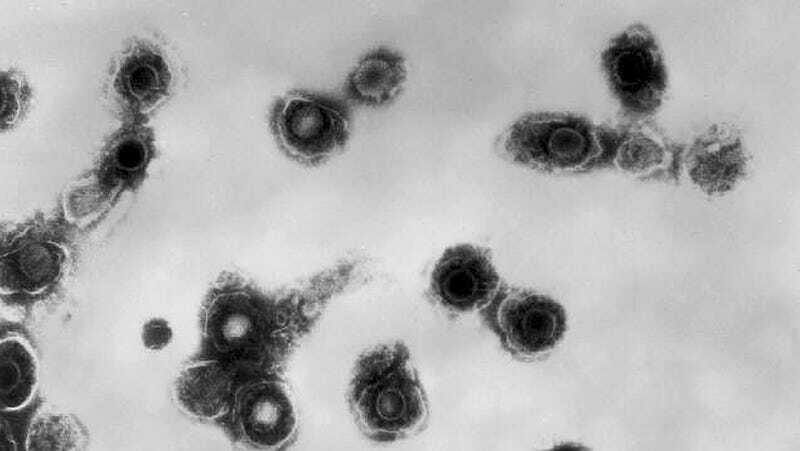 The cell lines used as the base of the chickenpox vaccine decades ago were indeed derived from two fetuses that had been aborted. And the Catholic Church has long opposed abortion, including the use of aborted fetal cells in stem cell research. But the Church has also given members its moral blessing to use the chickenpox vaccine and other vaccines once derived from fetal cells. Billy Kunkel, Jerome’s father, told the Washington Post that he doesn’t care about the Church’s stance, stating that his opposition to abortion was a moral absolute. Last week, the Northern Kentucky Health Department rebutted the public allegations made by the Kunkel family and others on social media, who have claimed the health department singled them out and discriminated against their religious beliefs. It also released the letters sent to parents at Assumption Academy during February and March, which warn parents about the dangers of chickenpox, explain the medical rationale of the bans, and do not include a single reference to religion. Though chickenpox most often causes a mild, if very contagious, rash and fever that lasts around a week, it can rarely cause more serious problems like pneumonia, encephalitis, and even a fatal sepsis. These more serious complications are more likely among the very young and immunocompromised. Surviving a chickenpox infection naturally also greatly raises the risk of someday developing shingles in adulthood, a reactivation of the chickenpox virus that can cause excruciating, sometimes life-long nerve pain.